Steve Rice (Olympia, United States) on 23 December 2013 in Miscellaneous. Bells waiting, for a concert by a school bell choir, in the Washington State Capitol Rotunda. They are very beautiful. Beautifully ringing clock making is really a difficult job. A great theme Christmas time. The shiny metals produce a wonderful effect! I agree Francisco. It's beautiful. I can see lovely ornaments of Disney characters. Well-composed stunning capture. I am into the unknown here - I take it these are 'tuned' to different frequencies ? How little I know. 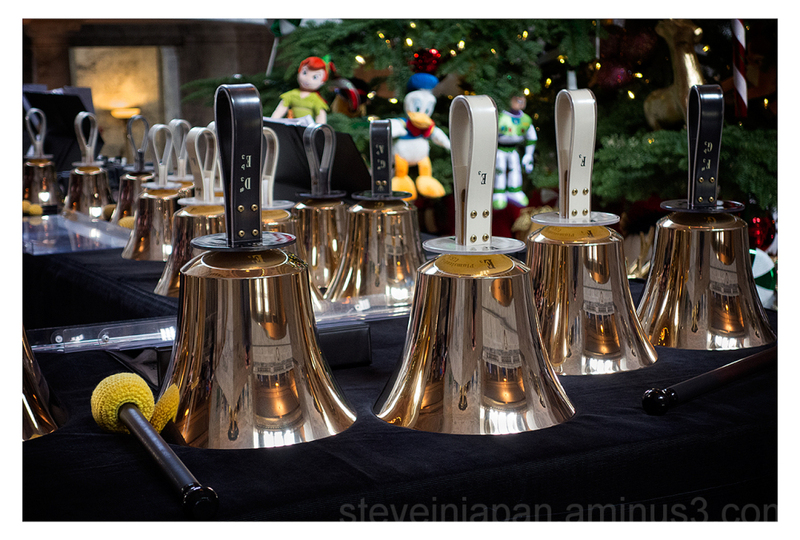 Glorious shot and depth of field - lovely looking bells - must make a beautiful sound as well. Superbe image ... merci Steve pour le partage ! Je te souhaite un Noël généreux et beaucoup de tendresse. Bises et à bientôt. Julie. De quoi composer de jolis morceaux de musique pour Noël !! Excellent take! I know that such a concert brings pleasure, I listened to one performed at Narita Airport by stewardesses!!! Beautiful shiny bells. Excellent shot. Fantastic reflections. Beautiful shot Steve! I love the reflections in the bells, brilliant holiday image. Lovely image! Gorgeous color and reflection! Beautiful bells with beautiful reflections! Have a wonderful Christmas! A good shine, someone's worked hard! Intrigued by the sacrificial Disney characters in the background. Quelles belles cloches sueprbe la brillance et original.